Part of me really hopes we see these Stateside as a truer successor to the R51 Pathfinder. 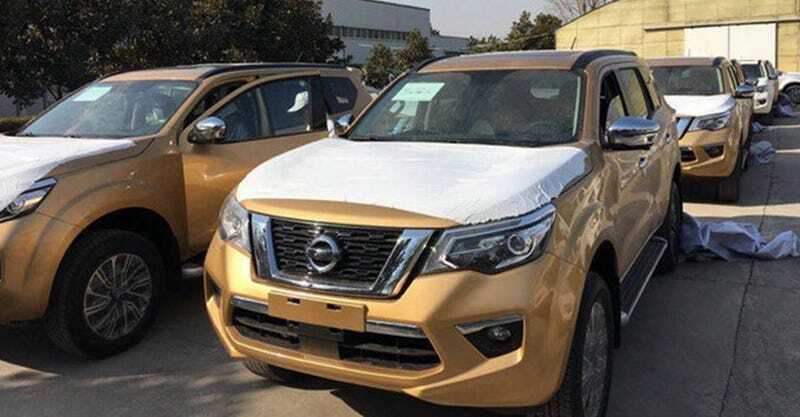 Or even an Xterra replacement, but rumor is that The Next Frontier and a possible corresponding Xterra will be unique (but I’m expecting they’ll be new in the same way the Ranger and Everest Bronco will be). I have yet to determine if they’re leaf-sprung or coil-sprung in the rear (the NP300 it’s based on has both options). But they debut in just over a week in Beijing, so I’ll settle for waiting to find out. Still can’t stand those directional wheels though.